We just love spending time at Nickelodeon Universe at Mall of America. 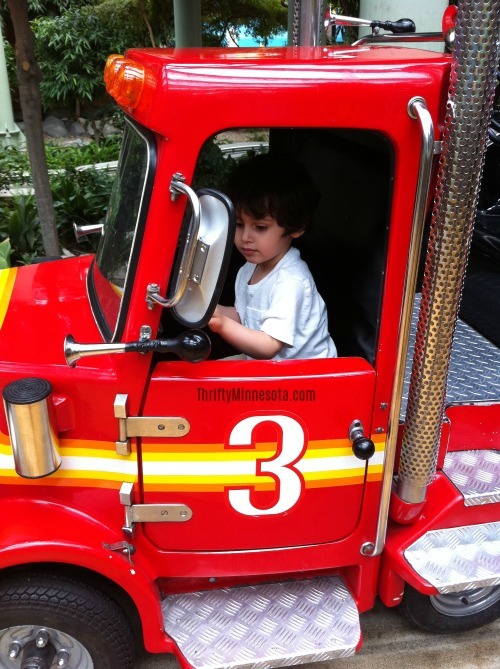 There is so much to do for the whole family with rides for everyone from the toddlers to the grown-ups. It’s an especially good place to go on those cold winter days when you want to do something active or on super hot summer days when you want to enjoy the cool air conditioning. 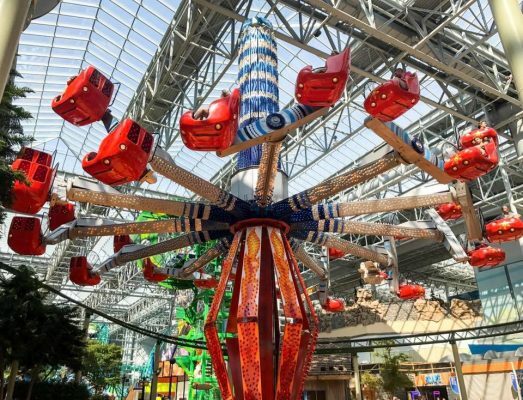 We also love how the ceiling made of windows and the big trees scattered throughout Nickelodeon Universe make you feel like you’re outside even though you’re indoors. As an added bonus, once you get hungry from riding all those rides, there are lots of snacks available within Nickelodeon Universe and dozens of restaurants within just a few steps. Planning a trip to the Mall of America? 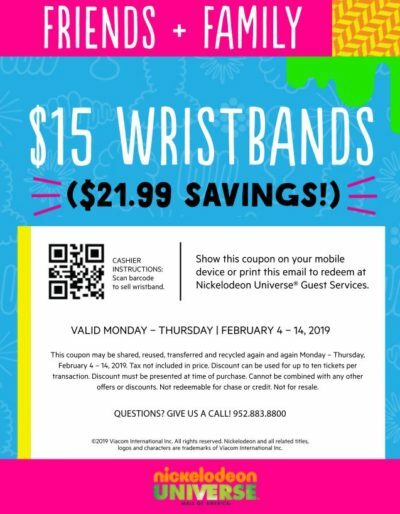 Here’s a great deal on Nickelodeon Universe Unlimited Ride Wristbands – pay just $15 when you show this coupon through Thursday, February 14th! This is a $21.99 savings off the full price. Note that the coupon is only valid Monday – Thursday. During the week they’re open from 10 am – 9:30 pm, so this can make for a fun after school or evening event for the whole family.